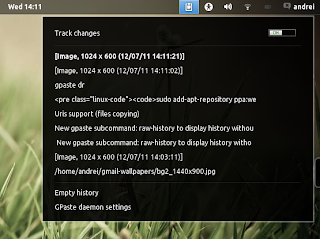 GPaste (native GNOME Shell clipboard manager) 2.1 has been released recently and is now available in the WebUpd8 GNOME 3 PPA. In my test, the new files support only worked with Nautilus (it didn't work with Marlin for instance). Once installed, reload GNOME Shell and activate GPaste using GNOME Tweak Tool (you also need to restart GNOME Shell if you're upgrading GPaste). For Fedora, see: THIS post (but I didn't test it with the latest GPaste 2.1). Arch Linux: GPaste is available in AUR. Other Linux distributions: get the source via GitHub.